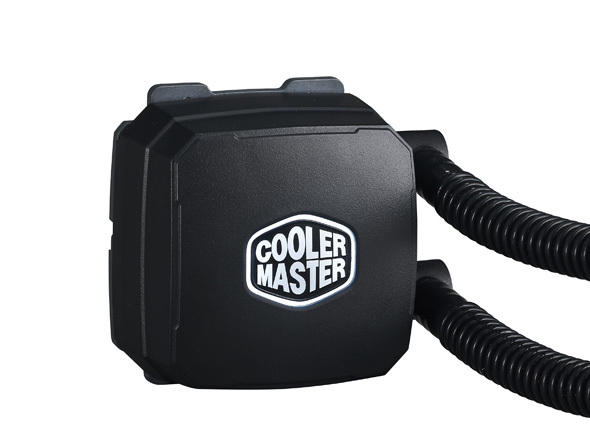 This isn’t Cooler Master’s first rodeo when it comes to All in One Water Coolers and you can tell. The Nepton 120XL is rocking a band new set of fans and some innovative design inclusions. 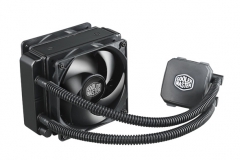 Read on to see how the team at Cooler Master got it right with their new CPU Cooler. 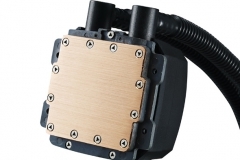 Cooler Master previously released the Seidon water coolers and also 140mm and 280mm versions of the Nepton so this isn’t their first shot at CPU water cooling. Thanks to the team at Cooler Master, we received a review sample of the Nepton 120XL to run through its paces on the test bench and in a practical build. What we saw was a very polished product that excelled in usability and gave us a solid performance to noise ratio. 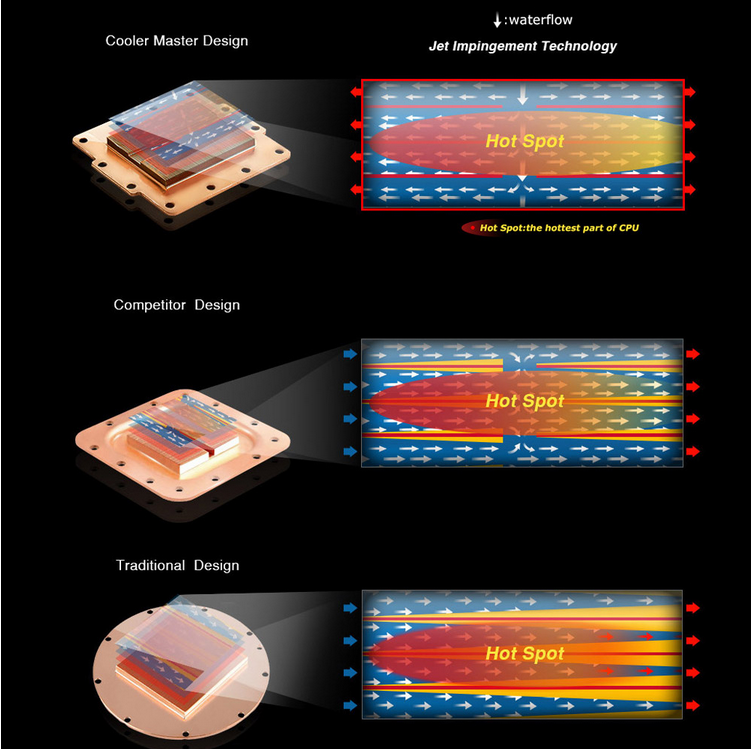 One of the reasons that the 120mm and 240mm Nepton coolers have come to market is compatibility. 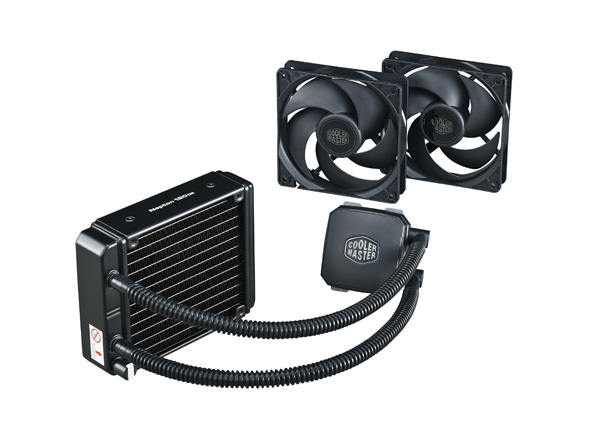 Whilst 140/280mm radiators provide greater surface area, they don’t fit everywhere but there are only a few cases that won’t fit a 120mm water cooler and the list of PC cases that are compatible with 240mm water coolers is growing steadily. 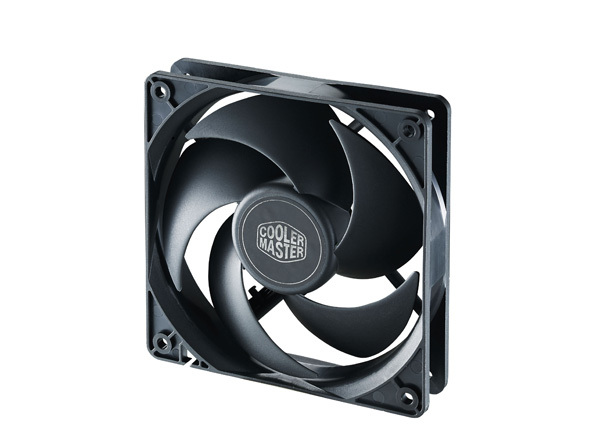 In the small form factor class of cases, 120mm seems to be the sweet spot for water coolers with the odd exception that will handle a 140mm fan/radiator. The Nepton 120XL has the widest compatibility of the Nepton line up. 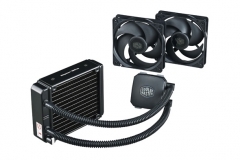 Cooler Master has delivered a low maintenance, low noise, highly compatible cooler with subtle styling and it looks pretty slick in their promo shots below. 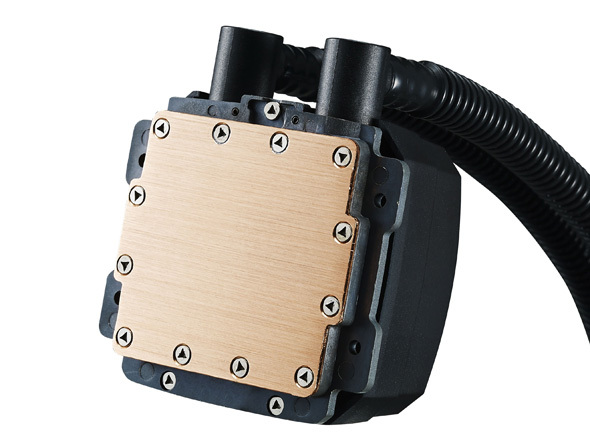 Conventional tower heat sink coolers like the Noctua NH-U12S, NH-U14S and NH-D15 provide us with great cooling and whisper quiet acoustic properties so what’s so special about water cooling? 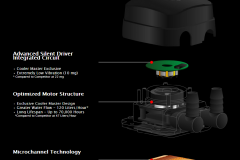 For 120mm units like the Nepton 120XL it usually comes down to convenience. 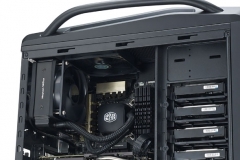 This convenience might involve a LAN rig that gets moved around a lot and the owner might not be too keen on a heavy metal heat sink applying pressure to their socket during transit or it might be that the tight confines of a smaller form factor case don’t allow for a conventional tower cooler. 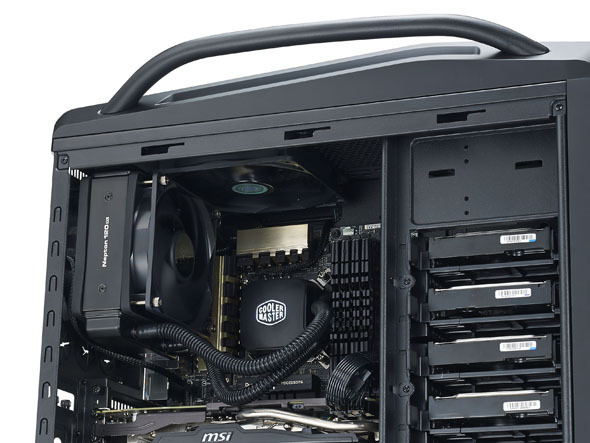 Low profile coolers are great but often sacrifice performance or noise. 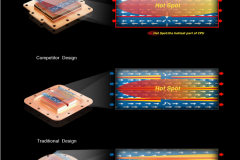 The other issue until recently has been compatibility with taller RAM modules and the first PCIE slot on M-ATX and mini ITX boards – in that older and larger heat sinks have often blocked or had little tolerance in this regard. A self-contained/All-in-One (AIO) water cooler is the answer for many builders. Unlike a custom water loop, you don’t need to worry about maintenance, custom hosing or a reservoir. These AIO units also don’t have issues of clearance around the socket, excess stress on the socket during transit and they do look pretty neat. In early self-contained water coolers we saw loud fans, noisy pumps and they weren’t exactly cheap. 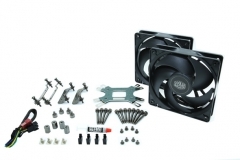 Manufacturers have generally come a long way since the early coolers, each with their own innovations and general improvements to those that use OEM components. 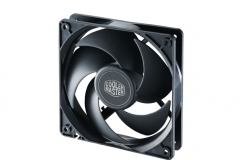 The Nepton 120XL is a good example of how far things have come with Cooler Master implementing a number of key features to really hone that performance to noise ratio that enthusiasts are chasing. 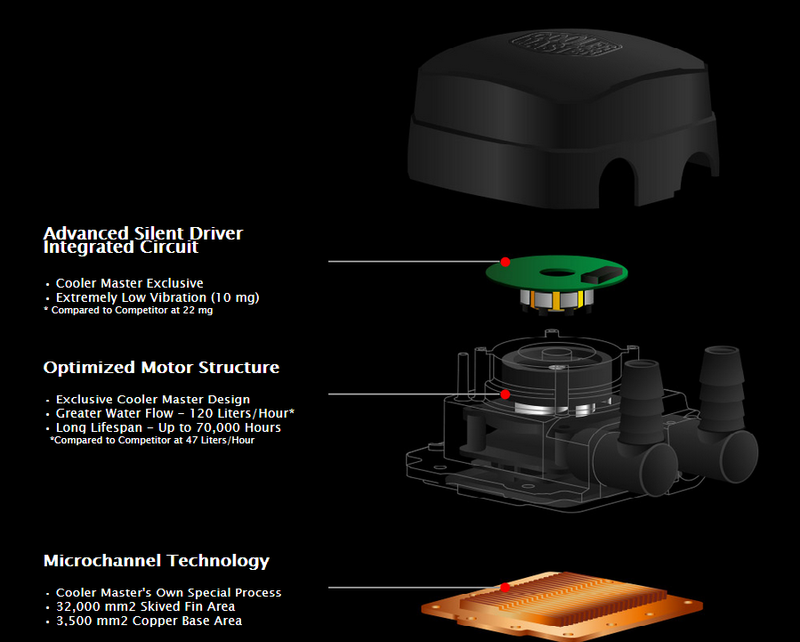 The key features as listed by Cooler Master are listed below with some diagrams from the manufacturer’s website. Branding is via a white LED that operates when the pump is running we played with the voltage to the pump and if there isn’t enough voltage to keep it going, the light will go out so you are not left wondering. This is nice to know that if you are looking at the light, the pump is turning. Cooler Master has done well with a white light/branding as it should work in with any theme of build no matter if the main colour theme – its design agnostic. The hoses connect at the side and although I thought they looked like they might swivel a bit, they don’t – the hoses have a rigid connection to the pump. 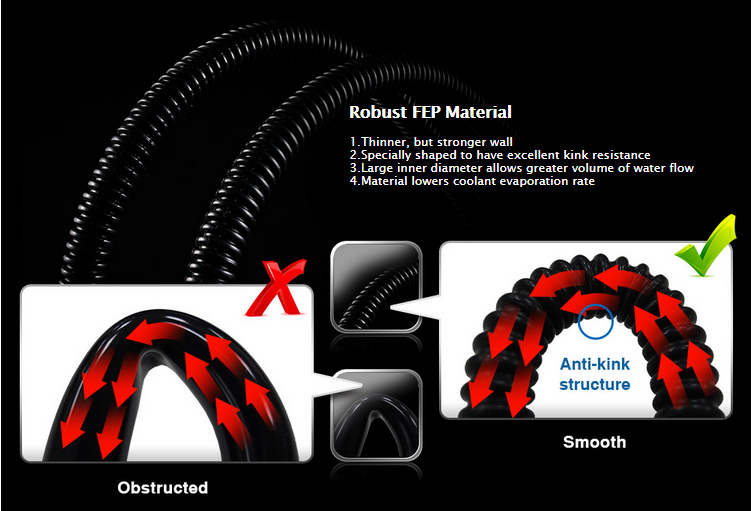 FEP stands for Fluorinated Ethylene Propylene. 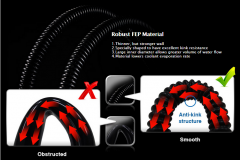 The Nepton 120XL uses specially shaped FEB tubing to provide robust hosing that is kink resistant with thinner walls so that the hoses can carry water with a larger inner diameter. The FEP should also lower the coolant evaporation rate. 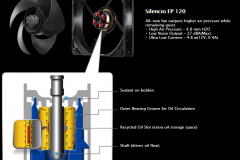 The new Silencio FP 120 fans are well suited to the overall package. In normal use, with our ASUS Fan Xpert 2 ‘standard’ profile we couldn’t hear them at 800rpm on the open test bench and at idle, this is where they seem to stay. Under minor patchy load as you would encounter web browsing, watching a movie or playing less taxing games like minecraft etc, our CPU hardly breaks a sweat and the cooler remains very quiet, remaining on par or below the ambient room noise. Our decibel meter couldn’t register the difference between the fans running at 800 as opposed to the unit switched off. 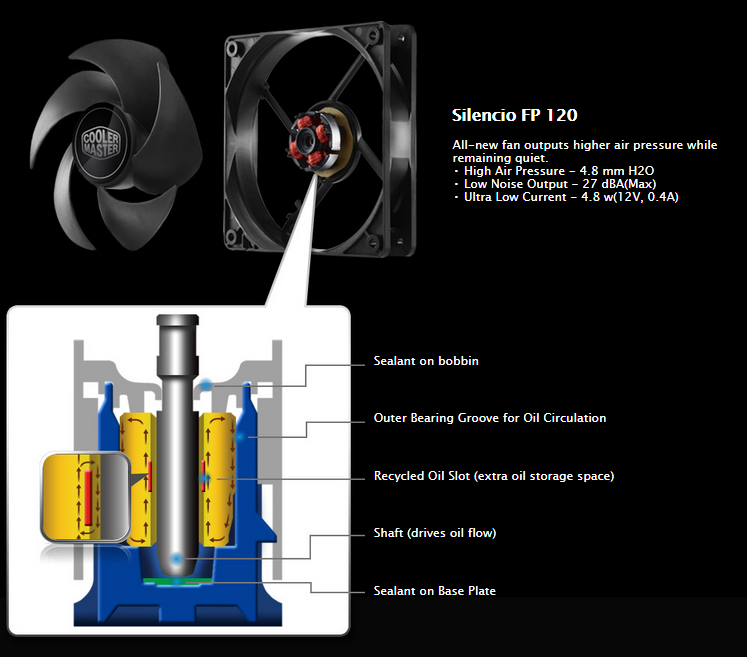 At full 12v, the pair of Silencio FP 120 fans make some noise but thankfully, it’s more of a “whoosh” than a whine and the cooler registered at the rated 27dBA from, 1m away. Although the noise at 2000rpm+ was more obvious in an open test bench, the sound was dampened in the practical build where we used the Fractal Design Define R5 case. One thing we noticed was the date on the fans – 11 September 2014. 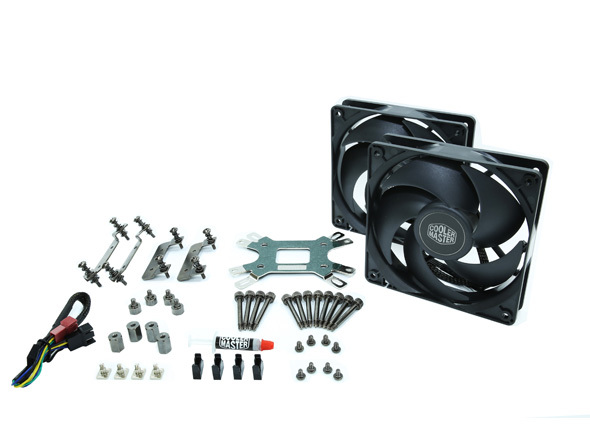 After checking with our Cooler Master contact we confirmed that these were entirely newly designed fans that are currently not available to be purchased separately – so it’s a good thing that the Nepton 120XL comes with two of them in “push pull” configuration. 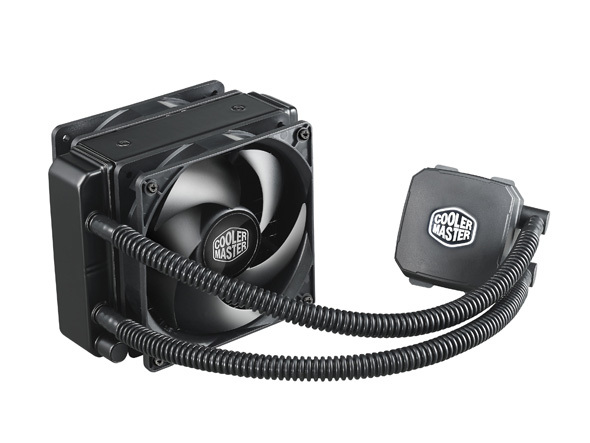 I was surprised to see that the radiator was aluminium rather than copper but Cooler Master is confident that the aluminium construction combined with their coolant mixture will be sufficient for the unit to endure its rated lifespan. They are confident enough to give the Nepton 120XL a 5 year warranty. The radiator has an end-tank bulge at either end, with the side housing the hose ports slightly bigger. This shouldn’t pose a problem when fitting the unit because the fan that will attach to case mounts is standard in size. There is also a port that has a sticker advising warranty void if removed. The Nepton 120XL cannot be refilled – this port is used in manufacture and there is no need for the end user to fiddle with it.